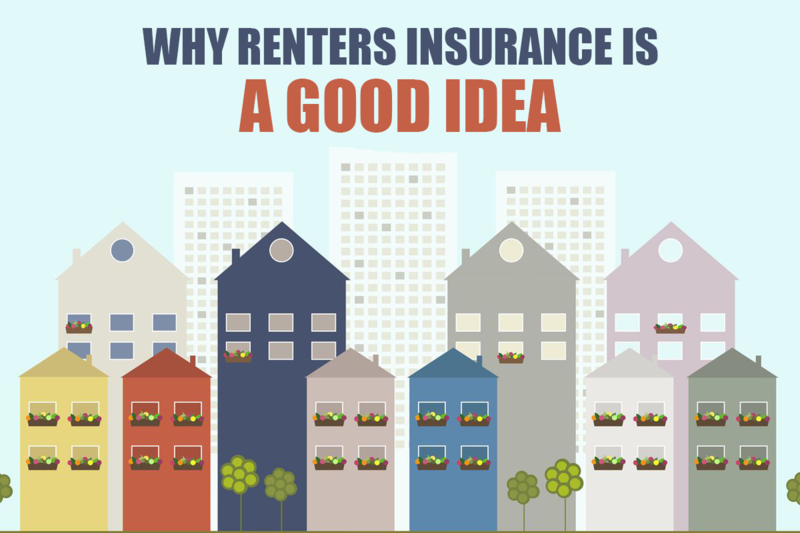 Home > Blog > Why Renters Insurance is a Good Idea! According to the Insurance Information Institute, 95% of homeowners have home insurance. After all, mortgage lenders require it. So, why is it that only 40% of renters buy renters insurance? Unlike homeowners insurance, renters insurance is not always required; but it can without a doubt save you a lot of money and headaches in the long run. Here are a few reasons why buying renters insurance should be something on your to-do list. There's a common misconception that renters insurance is expensive, leading renters to opt out. However, a renters insurance policy is generally inexpensive. Not only that, but it's pretty flexible too. Be sure to contact one of our agents or customer service reps to hear about our low rates and coverage. A renters insurance policy can help pay medical expenses for your guests. A renters insurance policy can protect you in a variety of cases. Some that you may not have considered before. If you have kids, for example, it is likely that their friends will come over. Should one be accidentally hurt in your apartment, your renters insurance could help pay the medical bills up to the policy's limit. It's 2018, things are more expensive to replace. Things are not cheap. That great lamp or coffee table you bought two years ago probably costs more than it did when you first got it. In the event of a fire, flood or theft, your renters insurance policy can help pay for replacement cost at their current price. It makes it possible to replace lost or damaged items. Your policy could help cover hotel expenses after a disaster. After a flood or fire, the last thing you want to be worrying about is where you'll stay the night and how you're going to pay for it. Your renters insurance policy includes "additional living expenses" coverage in the event that your apartment becomes uninhabitable and you need someplace to live temporarily. Your legal costs can be covered too. If an accident occurs in your apartment and you are being sued, the liability coverage on your renters policy can help pay your legal costs up to your policy's limit. Be sure to speak to one of our agents or customer service reps to hear your amount options. These are only a couple of reasons why renters insurance is a good - great - idea. Not only will you be saving money, but you'll have some peace of mind knowing that in any case, you'll be covered. Call us today at 877-999-2644 for a FREE quote on renters insurance and to hear your options.